For Honor releases on Feb. 14th! Open Beta starts on Feb. 9th! New Free Update for Titanfall 2 coming soon which includes a new "Live Fire" game mode. Merry Christmas everyone! Hope you all have a great and wonderful day! Grey Box's arena style ship shooter just entered Closed Beta with buy in options available. Dreadnought is 5v5 arena style deathmatch game with a lot of fantastic effects. Kommt es mir nur so vor oder ist es mittlerweile unmöglich, ein Match zu gewinnen? Man wird nur noch überrannt. Das macht doch keinen Sinn so. Subnautica is free right now on Epic Games. It's a really really good survival game. I've got beta invite codes to Fallout76 if anyone wants one. I have been away for a while! but back in my Mech looking for a fight!!!! ArmA3 with the zombies and Exile mod is EVERYTHING we wanted DayZ to be and more. I got Mal an invite to IFS in boats, just need to get Cam next so if anyone see's him get him invited. [link] Take my money NOW!!!! Industrial Forge going up at the Siege Tower on ARK: Scorched Earth Server. All welcome to use. 2 super container day! tier 6 premium and 20mil credits! Didn't Mufasa recently get older? If anyones up for some robots HOLLA! 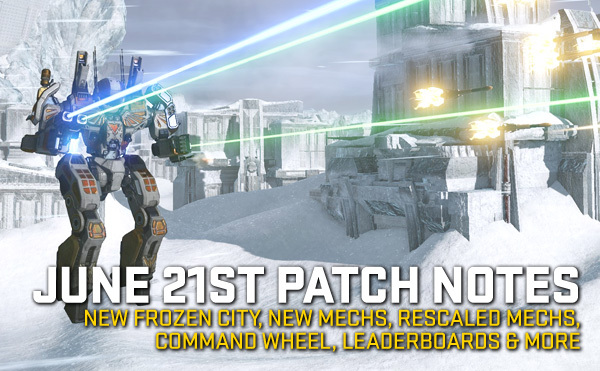 I have to admit Im kind of excited about this MWO patch. I am a bit concerned about the redo of Frozen City, but some of the other stuff is cool. Happy Birthday Lysk!!!!!!! Hope you have a great day buddy! Lets play some stopmy robots bro! sorry guys i played some mechs on saturday and i wasnt feeling too good sunday and monday. i willl try to be around more this week. @Lysk DZ leveling go. #your DZ leveling this weekend sucked. FYI Cool Solo Tactic! Toss out Zapper and fall back stops all those rushing at you and lets you keep distance. And tonight in the Darkzone FSU and I were subjects of a manhunt. Wor, FSU and I went rogue. Those hunting us were NOT successful.